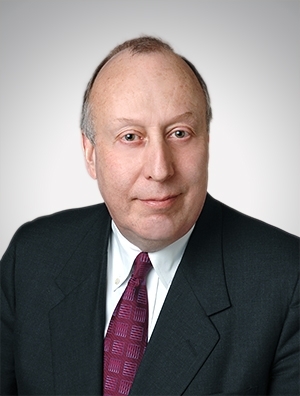 James I. Kaplan is a senior banking lawyer and a member of the firm’s Business Law Practice Group. Jim has extensive experience in financial services, regulatory matters, bank and financial services’ mergers and acquisitions and other transactional matters, as well as complex financings and workouts, compliance, data privacy and cybersecurity, financial services litigation, and shareholder and governance matters. Jim is a former General Counsel of Brown Brothers Harriman & Co and Associate General Counsel of The Northern Trust Company. He has deep and specific expertise advising businesses in the wealth management, fiduciary (including custody and securities servicing) and international financial industries. Advice to major bank on its national and international expansion programs, including acquisitions in the investment management, mutual fund, securities servicing and fiduciary spaces. Advice to major bank on setting up de novo national banking and wealth management entity, and counsel on related regulatory issues. Advice to leading bank service provider on regulatory aspects of its unique, $100 million plus, and sizable acquisition of major bank’s chartered entity by a non-bank. Counsel to seller of a community bank in the Midwest with purchase price in $30 million range. Counsel to a large national services business on national expansion of their fiduciary business on a federally regulated platform. Counsel to European manufacturing company purchasing the controlling interest in a U.S. financial services joint venture from its JV partner, a large U.S. bank. Advice to major U.S. banking institution on its handling and response to supervisory action by its regulator relating to Anti-Money Laundering, including development of a comprehensive AML/KYC program. Advice to leading global bank, with over $300 million in assets, on its correspondent banking activities in Europe, Latin America, Asia and Australia. 2016 Michael Gonring Award from Quarles & Brady LLP, Pro Bono Partner of the Year.